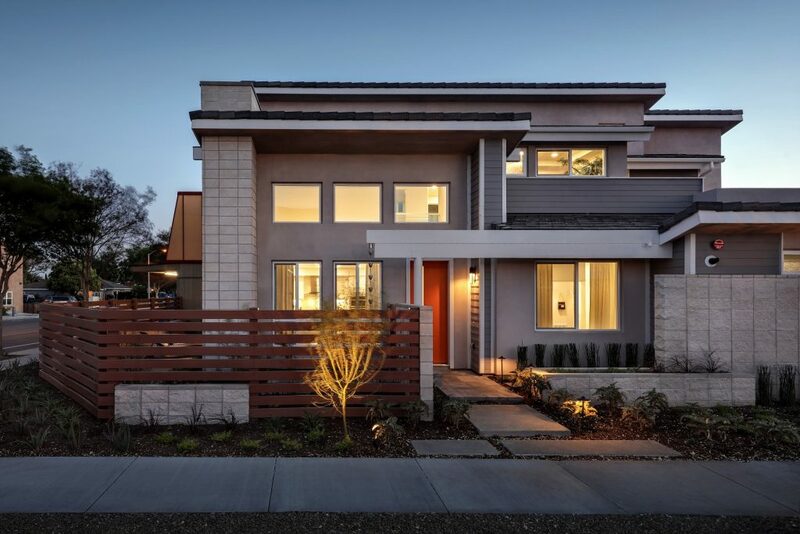 Many experts and industry professionals expect 2019 to be a pivotal year in residential homebuilding. While demand for new homes is generally still strong in most market segments, buyers are now finding that they have more options available. This means they can be more selective about their purchases. Now, more than ever, home design can help builders differentiate their products and help realize faster sales velocities. Here are the top design trends we anticipate seeing this year in single-family architecture. There is no mistaking the elevated user experience that indoor-outdoor living brings to homebuyers. While this has normally been associated with the Sun Belt and more moderate climates, we are seeing indoor-outdoor living elements included across the US. One public builder recently reported that 20 percent of its buyers nationally are opting into their indoor-outdoor program. Smaller floor plans and attainable housing will need to look for additional, creative ways to incorporate indoor-outdooring. A kitchen window that opens up to a small outside bar or a dining nook positioned perfectly to give an al fresco feel – a little creativity here can yield a heightened homeowner experience with minimal impact to bottom line costs. 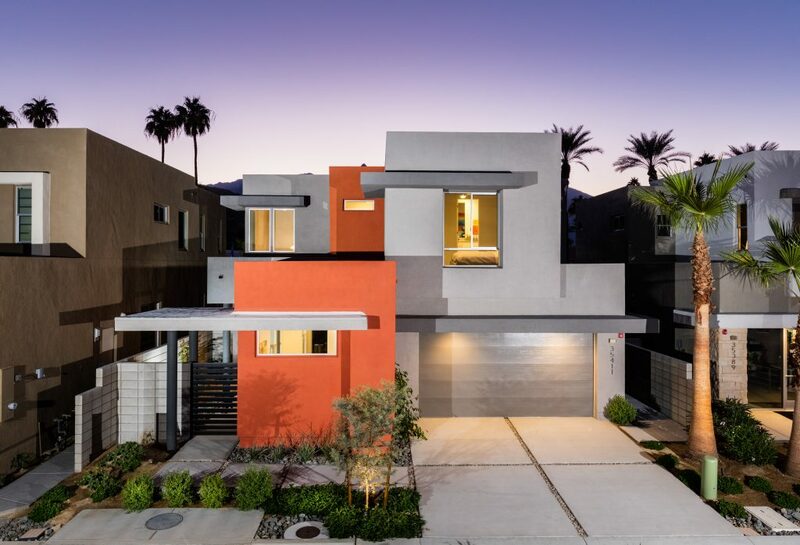 Danielian’s District at the Edge showcases unique architecture with a pop of color in this California based design. With the ability to customize and control nearly everything at a consumer’s fingertips, architectural customization will be a way for homebuilders to differentiate themselves. A few leading builders have adopted programs that allow buyers to add in options and make floor plans changes that are not tied to a specific construction schedule. If a buyer comes in and decides to purchase a specific home that is already framed, the options have already been included in the home’s design. This grants buyers greater flexibility and the ability to customize their home for the way they live. Expect to see more opportunities for customization. With high demand from millennials and first-time buyers to purchase homes alongside high land costs in many markets, in which we are seeing perhaps a slightly softening market condition, is a lack of attainable housing supply. Look for substantial innovation this year in small lot products. Having a planning and architecture team working together under one roof will be advantageous here, as good planning can maximize home values while your architecture team works in tandem to create smaller footprints that both live large and maximize privacy. 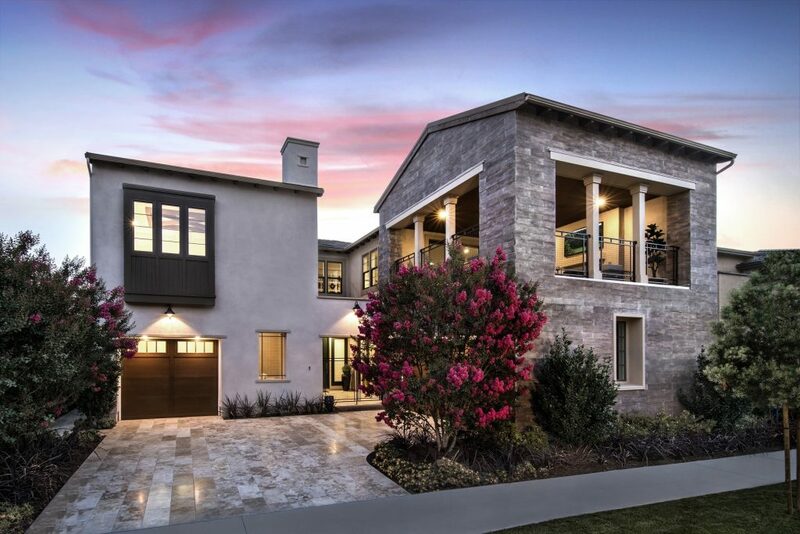 The ABC Green Home 3.0 showcases modern style architecture designed by Danielian Associates. Also knowing where to value engineer and where a simple upgrade will enhance a small space can add tremendous appeal. A single statement or highlight feature within a small floor plan, such as a full-height kitchen backsplash or an enhanced feature wall, can be included in price-sensitive products and give even first-time homebuyers a sense of luxury. These small touches, carefully added, will help create a more elegant space and a better living experience with minimal cost impact. Across all products types, modern and transitional design is still very popular. We also see increasing demand for contemporary farmhouse design. Look for creative use of industrial materials in residential applications and increased use of lighting as a design highlight. Smart homes are now the industry standard. The best home technology will function as a cohesive system, be absolutely seamless, and be simple to use. Look for continued innovation in the application of technology within the home, particularly with the active adult markets. There is some fantastic technology within the multifamily housing industry using smart robots and an AI stack. This system increases usable square footing by storing, managing, and retrieving objects on-demand in the ceiling. These systems are already being used in existing rental products in high-cost areas like San Francisco and Seattle. Perhaps we will see this technology cross over to higher density single-family housing as well. The Altair Irvine development, developed by Lennar features Danielian’s signature Undertainment Floor. Joe Wicentowich – Co-housing will become a growing trend, particularly as it relates to attainability. Look for more “co-op living” to address the growing attainable housing issue. Alena Chernolevskaya – Look for increased use of off-site home manufacturing technologies and on-site assembly to save on construction and labor costs. Louis Bretana – Smaller floor plans and attainable design should allow options for communal spaces, depending on the level of interaction desired at any given time. Lifestyles and trends are always in flux so versatility in design of public and private spaces is equally important. Miguel Martinez – Safety and security are two hot button issues. Creative use of voids in floor plans can affordably create safe spaces in homes at all price points. Peace of mind is priceless, particularly for families. Robin Titcher – The increase in catastrophic wildfires will create a demand for fireproof homes. Beyond far beyond the current code, expect to see substantial innovation in creating a fully fireproof home. Andrew Schaffner – Increasingly frequent package deliveries continue to be a management issue for homeowners. Expect to see innovative ways for secure package delivery and storage incorporated into residential architecture. Victor Alvarez – Expect to see increases in VR / AR technologies to enhance communication between designer and client and also between builder and homebuyer. Rene Alvarado – Look for increased incorporation of eco-friendly materials, particularly as it applies to indoor health and wellness. Mike Boyd – With co-living becoming more accepted, the next evolution would be a hybrid of communal living combined with communal work spaces. Micro units that share common areas and in separate but connected location sharing “we work” style offices. 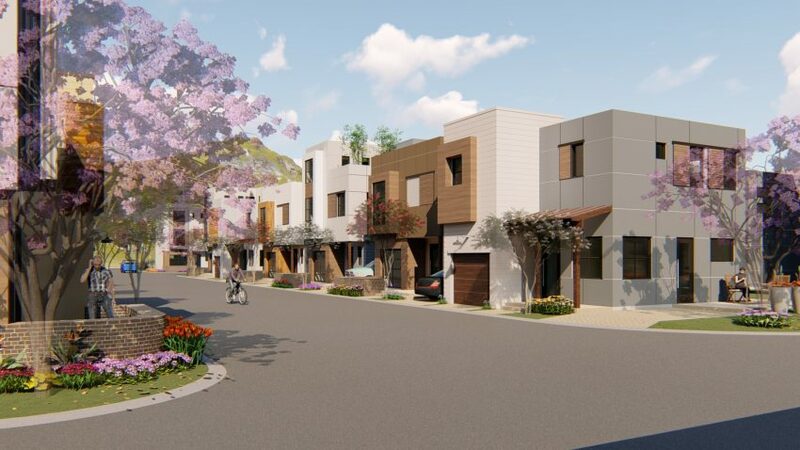 These micro communities could be grouped together to create larger, walkable, and more sustainable communities.